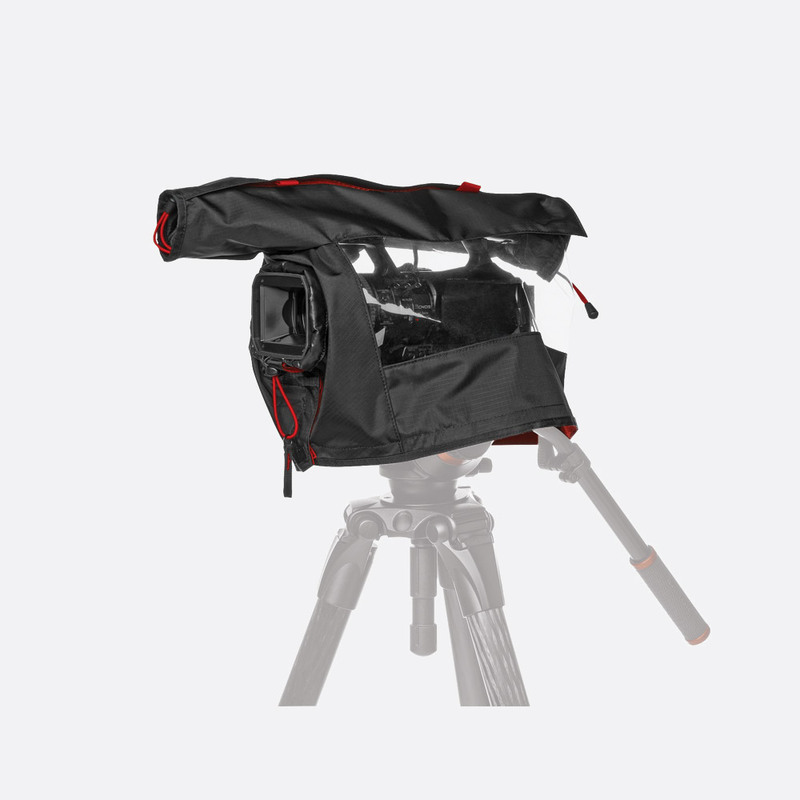 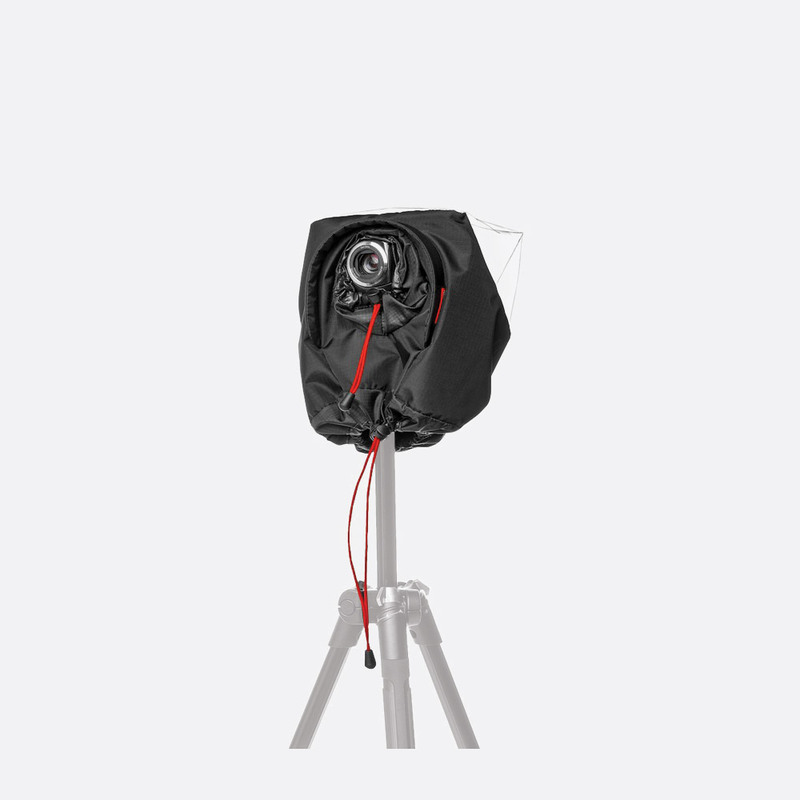 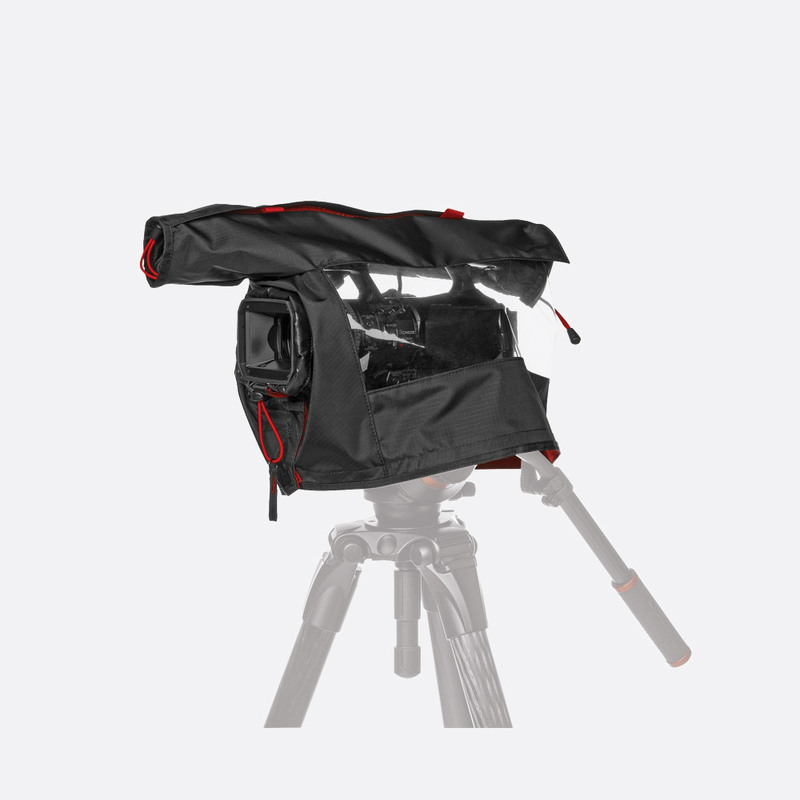 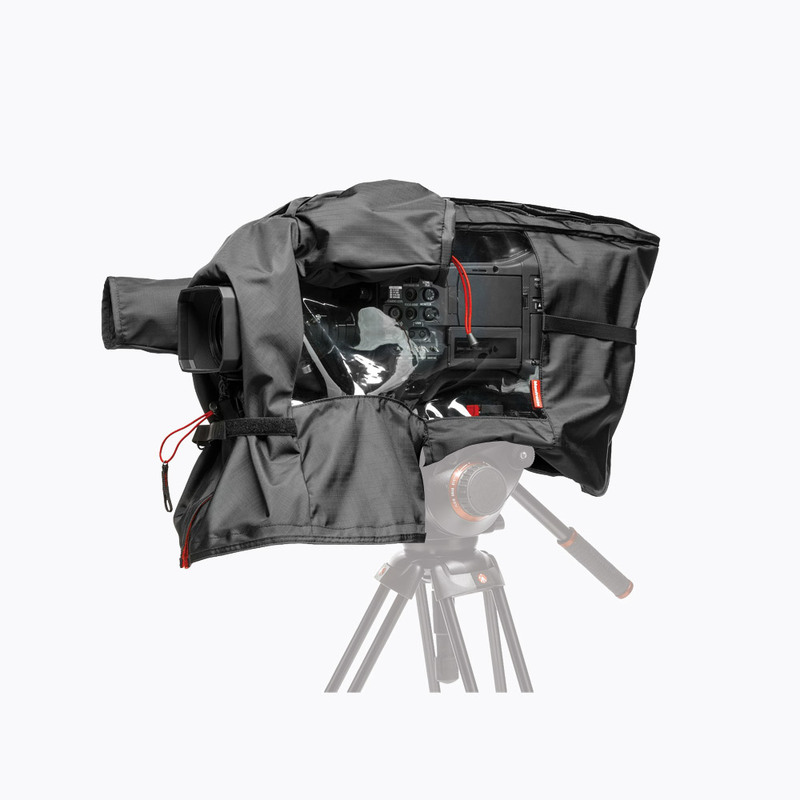 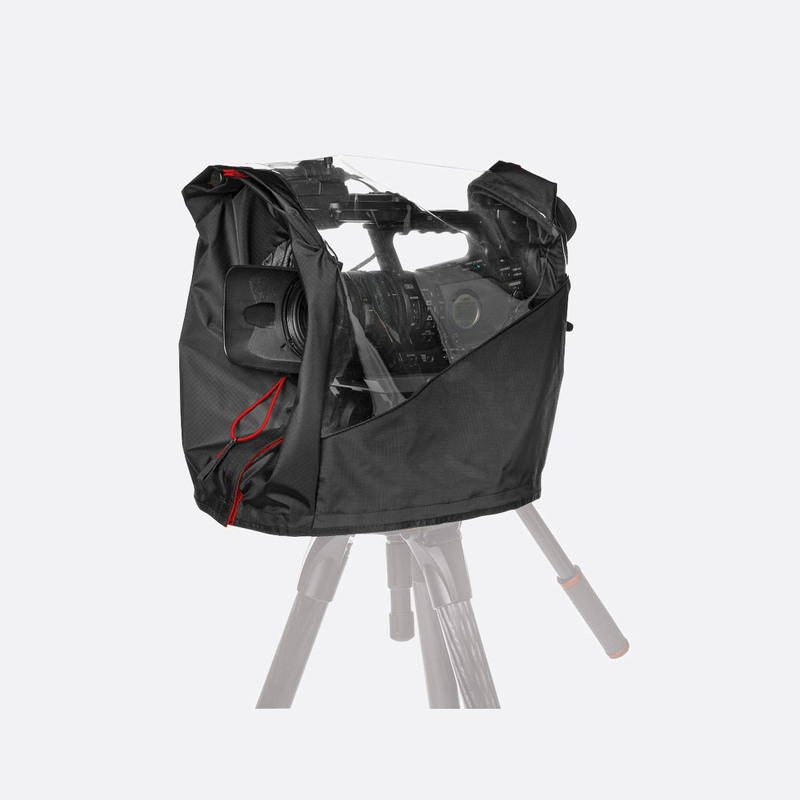 These Pro Light element protection covers are for use by professional camera operators working and shooting in harsh weather conditions, protecting the camera equipment from both dust and rain. 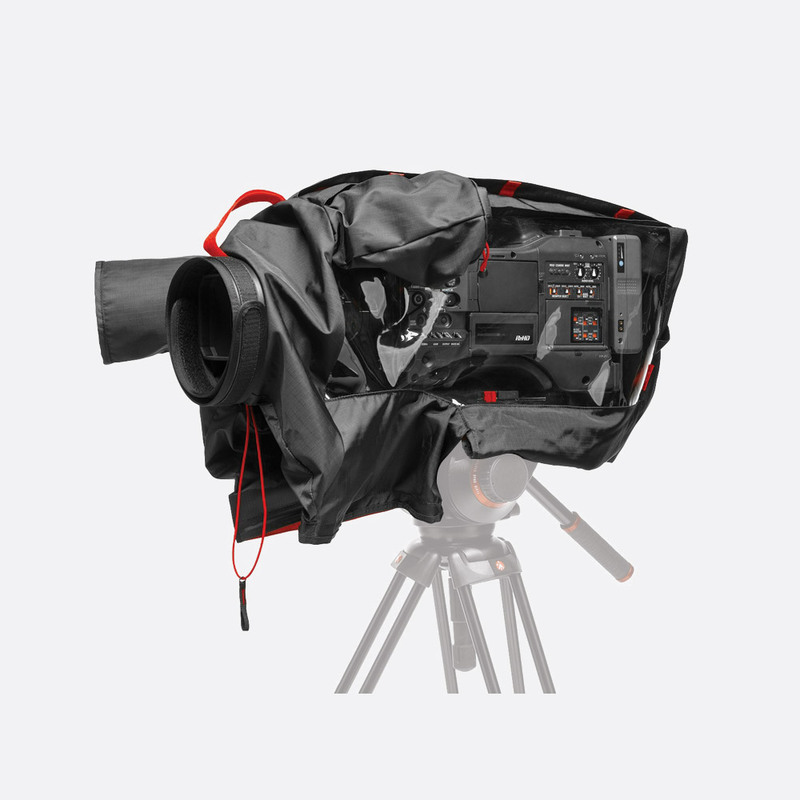 Clear thermoplastic polyurethane (TPU) windows ensure the operator can see the controls on the camera easily, whilst the main body of the waterproof cover is made of black 'RipStop' nylon for durability. 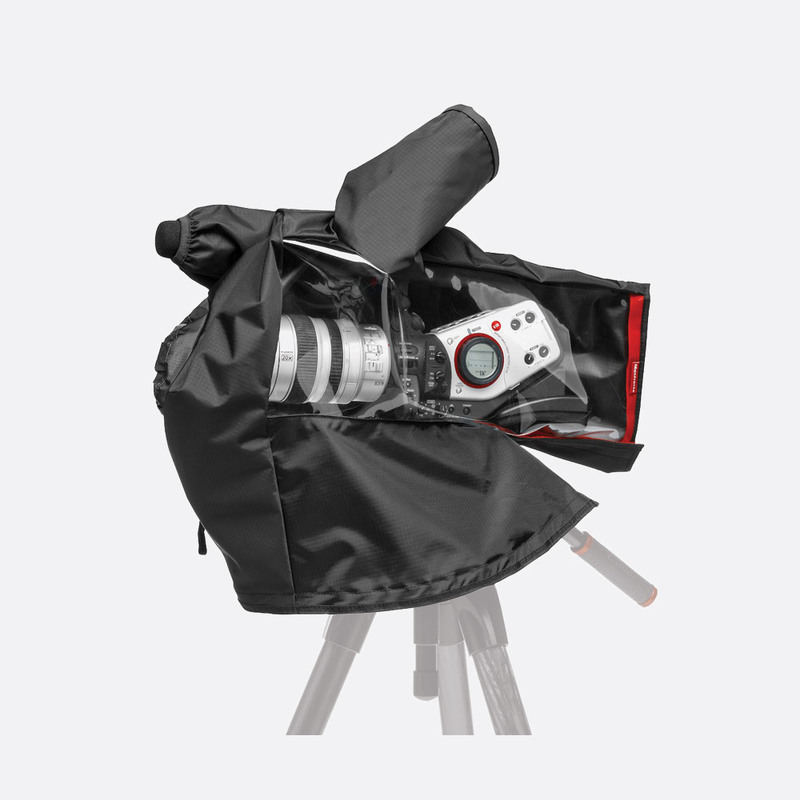 The covers can be fitted quickly by slipping over the camera, and in many cases, the attached camera accessories.